Being that Salwator has always been Kraków’s most green, ancient and affluent district, it’s a bit of a wonder why more people don’t visit. Having done the hard but rewarding work of researching this seldom written about area, however, we’re happy to roll out the red carpet. 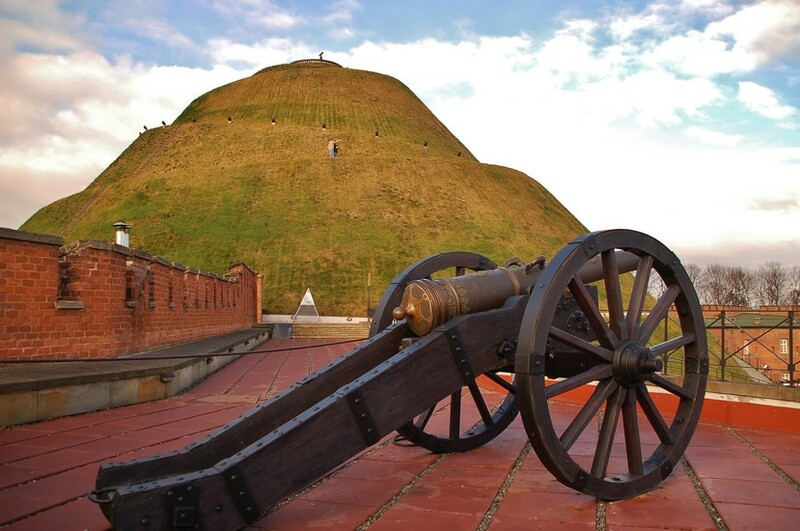 Certainly the area’s main attraction is the stunning Kościuszko Mound and surrounding fortifications, but the scenic ascent to the mound is almost as pleasant as the earthwork itself and makes a perfect escape from the sometimes frenetic bustle of the city centre. Essentially comprising one long, virtually traffic-less, tree-lined avenue flanked by ancient churches, atmospheric cemeteries and grand villas - which begins at the city’s largest sacral complex and summits atop the city’s most magnificent overlook - Salwator should hold plenty of enchantment for visitors. A perfect warm-weather expedition, exploring Salwator is more of a leisure activity than a sightseeing excursion, with its appeal lying in strolling shady lanes and taking in scenic views more than studying historical exhibits (though there’s the chance for that too). Picturesquely perched on the western fringe of the city-centre, well-removed from the tourist track, the small district of Salwator officially occupies St. Bronisława’s Hill in the district of Zwierzyniec, which rises above the Old Town between the Wisła River and the Rudawa – one of its tributaries. As such, a journey to Salwator starts at their confluence and the majestic Norbertine Monastery – Kraków’s largest sacral complex. Consecrated way back at the end of the 12th century, the Norbertine Sisters of this immaculate convent were the first female religious congregation in Poland and once held much sway and influence over the area. Until as recently as 1910, when Kraków’s mayor snatched and incorporated the territory into the city proper, the Sisters of St. Norbert owned the whole area of Salwator and surrounding Zwierzyniec. Before that time the Norbertine complex extended across ul. Kościuszko and, in addition to the convent’s Church of St. Augustine & John the Baptist, also included the two churches found at the foot of St. Bronislawa’s Hill (on the street of the same name). On the left side of ul. Św. Bronisławy stands the small and unique Chapel of Saint Margaret, which is included on the Małopolska Wooden Architecture Route, while on the right is the hoary Church of the Holy Saviour. Continue up ul. Św. Bronisławy (as it turns into Al. Waszyngtona) about 500 metres on the left and you’ll arrive at the Salwator Cemetery – perhaps Kraków’s most picturesque necropolis. However, as you’re en route, don’t miss taking a quick look at the villas on ul. Gontyna – a small looping alley off the main lane. 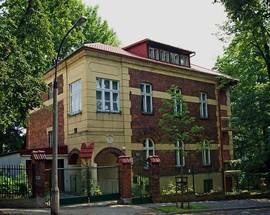 Though the name ‘Salwator’ has more recently been applied to much of the surrounding district of Zwierzyniec (for marketing reasons), it originally referred strictly to this small ‘Garden City’ of 30 villas built to much hullaballoo after a 1910 design competition. 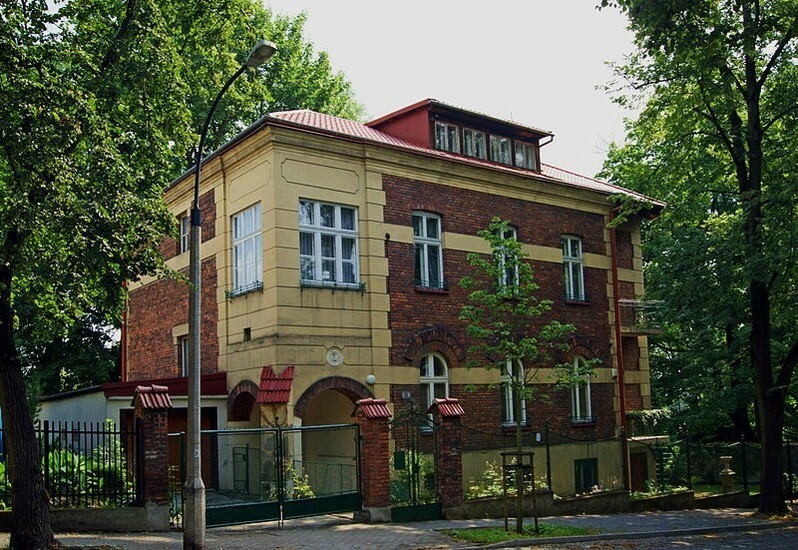 One of Kraków’s most exclusive residential streets, ul. Gondyna has been home to many local luminaries and celebrities, and its villas are also no stranger to architecture textbooks. The highlight of the bunch (for us at least) is the manor on the right-hand crescent with a large bust of wild-haired Medusa on the facade. Perhaps those penetrating eyes are the same that filled Salwator Cemetery with an unusually great number of statues and stone effigies. Continue up this avenue lined with ancient trees to where it bears right and you’re at the foot of the Kościuszko Mound and fortifications, one of Kraków’s most unique attractions. While you’re at the top, take a turn away from the Old Town for a moment and you’ll see the rolling expanse of Wolski Forest (Las Wolski) with the Camaldolese Monastery and Piłsudski Mound peaking out of the trees to the west. The road that lead you this far will also take you deep enough to find these further Zwierzyniec sights, as well as Kraków’s Zoo, but bear in mind that you could easily spend an additional day just hiking throughout this scenic woodland. Lying just west of the Old Town, Salwator is about a twenty-five minute walk from the main market square and can be easily accessed by taking trams 1 or 2 to their terminus at the Salwator roundabout. 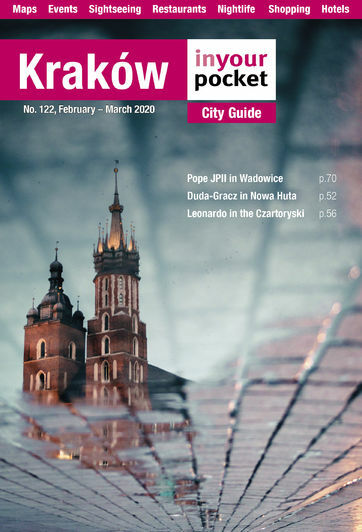 Alternatively, surefooted or cycling sightseers can follow the recreational path along the Wisła River from Wawel Castle to the Norbertine Monastery, where it ends at the Rudawa tributary. 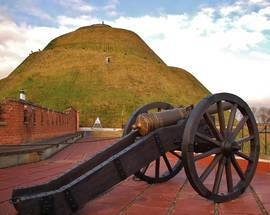 Bear in mind that the path up Saint Bronisława’s Hill to Kościuszko Mound is a slight grade 1.6 kilometres in length and may be uncomfortable for anyone awaiting a hip replacement. It is possible to drive to the foot of the mound, but making the journey on foot or by bike is certainly the recommended method for those with fine weather who are feeling up to the task.